The following listings show North American locations (by state, province, and country) and a few places in England and Ireland where audio-frequency "Natural Radio" emissions (0.2 - 10 kHz) may be listened to with only very faint-to-nil power-line hum present. Most of the listed sites below have been discovered (and many re-visited) by Stephen P. McGreevy during Natural Radio recording expeditions between 1991 and the present. Additional information besides my own has been contributed by fellow Natural Radio enthusiasts (hopefully considerably more in the near future will be added). As I solicit more information from them, it will be added to this list along with proper and due credits to them for contributing this valuable and vital information. These sites have been found to be distant enough from AC power-lines (on average, 5 to 10 miles) to render the PLHR (power-line harmonic radiation) emission from electric lines (in the form of 60 Hz "hum" and harmonics tones and buzzes) weak to nil on sensitive E-field VLF receivers employing short, 1 - 3 meter tall vertical antennae. Thus, these low hum or hum-free locations are excellent spots to record Earth's splendid Natural Radio sounds in the audio-frequency VLF band of 0.3 - 10 kHz. As an added benefit, these sites will also be wonderfully quiet for LF, MF, and HF frequencies. The majority of these VLF-quiet locations are accessible by regular passenger car in good weather and dry road conditions. Some of these locations might require a higher clearance 2-wheel (like my blue van) or a 4-wheel drive vehicle to access them in poorer weather and wet-road conditions. A few of these are strictly hike/walk-in (or possibly, accessible via mountain/all-terrain bicycle), and...only via boat such as a canoe on remote northern lakes of Canada! The following listings are self-explanatory, and have detailed information such as road access routes, associated geo-graphic coordinates, and other relevant notes and anecdotal information. Mackenzie Highway 35- region north of High Level, AB northward to NWT border: The entire stretch of highway north of Meander River and Indian cabins to the NWT border/60th Parallel lacks any powerlines along the road (or for that matter away from the road) and is VLF-quiet and also well-within the auroral-zone for fabulous VLF listening and aurora viewing.. I did not stay for any length of time in this area as I was on my way northward, but I did make careful checks along the route to determine if there were any electric lines in the region, and there were not nor was there any powerline hum whatsoever. Telephone microwave-relay stations along the highway are powered by propane generator and not by the mains grid. 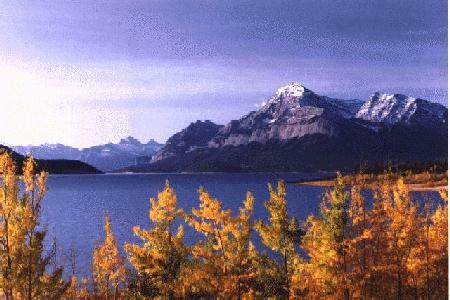 Waterton Peace Park, Alberta - Belly River CampgroundMy father and I stopped here for four days, June 18 - 22, 1998. This a gorgeous campground and is very quiet for the most part, especially during the weekdays. Campsite number 20 is the site in this campground where I made my STEREO recordings, some of which appear on my A HREF="sndbites.htm"three audio-file websites. Even on sensitive magnetic-field (loop) receivers, the AC powerline hum is very weak - probably coming either from the Chief Mountain Canadian and U.S. customs stations 3 km to the south or from Waterton Park Townsite 10 km to the north over the mountains. Highway 66 north-east of Kingman, AZ: Back in October 1989 Gail and I didn't have really good VLF receivers but we did note that there weren't any powerlines along one section of the famous Route 66 about 20 miles north-east of Kingman and that there were many dirt roads leading into the low hills to the south-eastern side of the road. Needs to be further explored by VLF enthusiasts and researchers. Lone Pine Area where I now live: Tuttle Creek BLM Campground, especially the farthest westward reaches of the campground and adjacent BLM Lands to the west at the base of Lone Pine Peak and Mt. Langley, and into the eastern High Sierra Mtns. including the Tuttle Creek Canyon are all fairly quiet, the hum (from 3 large sets of powerlines near the ruined Owens River, including the BPA pulsed-DC line running from Bonneville Dam in OR/WA to Los Angeles) lessening to the point of being very faint as you get toward the mountains and fading away as you get higher up into the mountains. Access to these places is via Whitney Portal Road (paved) from downtown Lone Pine to Horseshoe Meadows Road (paved)--southward a couple of miles to the entry road to the campground (dirt). A half-mile further to the right is Granite View Drive - turn westward on the washboard dirt road toward the Sierra Nevada Mountains. Before you get to the Great Space Center (private land which I have access to), the dirt road branches to the right (if you go straight you enter the great Space center property). This road leads upward amongst the alluvium and fantastic granite boulder fields into the mountains, where you can camp in your vehicle or hike into the mountains into the John Muir Wilderness You go from high-desert sagebrush country, through Pinyon Pine woodland, and into wetter Alpine micro-climate including pocket forests the higher in elevation you hike. Wonderful views to the east of the weathered and eroded Alabama Hills granite rock formations akin to ones seen at Joshua Tree National Park and also the stark Inyo Mountains. 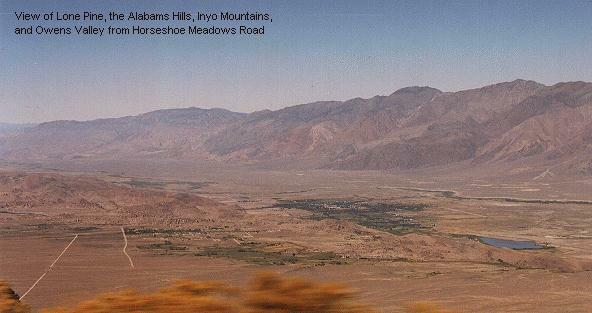 Northern Inyo Mountains, Eureka Valley, most of northern Death ValleyAll of these places within the vast Inyo COunty, CA lack powerlines. Most of Death Valley south of furnace Creek is free of powerlines, as is Death Valley north of Grapevine Ranger Station. The road from Big Pine - (east-bound) the Eureka Valley Road, is free of any AC lines too. Horseshoe Meadows Road continues southward past Tuttle Creek and Granite View Road and eventually switchbacks its way up into the Sierra (paved all of the way and with cliff-hanger views of Owens Lake and the Valley below) where you can park your vehicle in a well-maintained and large parking lot and hike into endless miles of the High Sierra (including the John Muir Wilderness) which are ALL powerline-free including the parking-lot itself and nearby Horseshoe Meadows. If you head south from Stovepipe Wells you'll be near small powerlines all the way to busy Furnace Creek and not good areas for superior VLF monitoring. 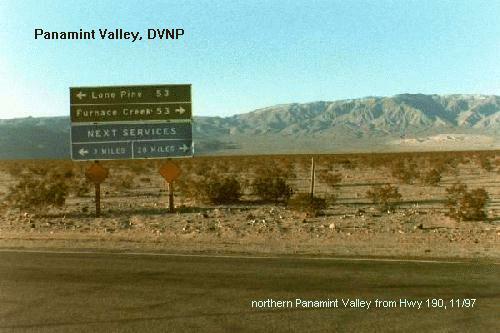 northern Panamint Valley: This area is lovely! There are gorgeous sand dunes on the alluvial slope of the valley (see photo) and the oddity of Lake Hill to explore. Panamint Butte has beautiful sedimentary layers. The vicinity of Lake Hill and Panamint Butte can be reached by a bumpy dirt road that is passable even in rainy weather with a passenger car or 2WD. Overnight parking allowed within 100 ft. of the road, otherwise, no off-road driving permittted. Just a very faint trace of AC power-line hum on a sensitive e-field receiving system. Impossibly hot mid-May to mid-September during the daytime, but the rest of the year can be delightful in clear weather. 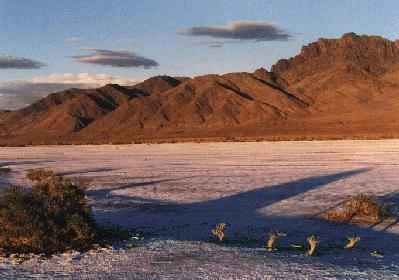 This area is now within Death Valley NP. Humboldt Lagoons State Park: I found the long sandy beach strand stretching to the north with Big Lagoon to the east was quite free from AC powerline hum on a WR-3E receiver once I walked about a mile north of the campground and boat launch areas (a residential area is also close-by). This area is about 3 to 4 miles north of beautiful Patricks Point State Park. There is another more northern section of the Humboldt Lagoons State Park next to Stone Lagoon and Sharp Point which I have not explored but which may also be free from AC hum. Loma Alta Hill (on-foot only): most of the eastern flank of Loma Alta (seen in the photo below) is fairly quiet for small antennas but may be have a bit too much AC-hum for very sensitive installations. 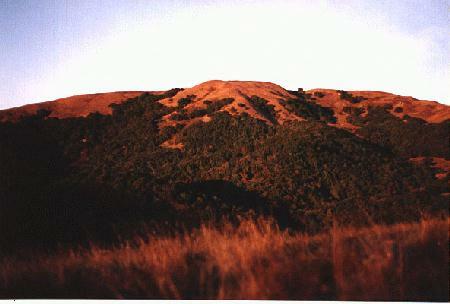 This Oak and grassland hill was where all of my initial VLF experimentation near my San Rafael home was done from during 1990 - 1991 and casual listening thereafter until November 1995. Fish Rock road between Highway 128 and Gualala Mountain:Gorgeous scenery amongst the Redwood Trees in the canyons and open ridgetops of Oak and chaparral.. The site I discovered late in the night on 01 April 1994 was about 10 winding miles from California highway 128. One of the recordings I made wound up on my CD "Electric Enigma." CD liner notes describe the following: Spring-time in northern California is delightful. The hills are ridiculously green and full of wildflowers, and the air pervades with a potpourri of scents. Thoughts turn to the outdoors... Suffering from an intense case of "cabin-fever," I tossed a few necessities and a couple of my VLF receivers into the van and headed northward from the San Francisco area into California's "Redwood Empire." With no specific route plan, I just drove on with the single goal of getting as far from the city as possible. Driving into the night, I spied a sign pointing out a turn-off to Fish Rock Road. I thought to try it out, having never been that way before. It also looked promising as a "power-line free" road, winding as it did into the coastal mountains peppered with groves of Oak and Redwoods. Locating a nice turn-out suitable for overnight parking, I did another of my "VLF-checks," instantly rewarded with gorgeous, almost pure whistlers ringing in my ears! These ones sounded BEAUTIFUL, with a hollow, cavernous quality to them, and the lightning-stroke "tweeks" were also quite nice sounding. This early April night felt almost warm, and the sky was full of stars - this recording segment is part of several hours of tape run during the night. Surprise Valley: Drive for about 8 or 9 miles on Modoc County Rd. 1/Surprise Valley Road (narrow paved) north from Cedarville and then turn eastward (right) onto County Road 15 (also called Lake City Dump Road) and head for 3 miles past the dump toward an intersection of dirt roads. You'll see a TV translator installation ahead about 1.5 miles to the east, but you need to turn northward onto a washboard gravel road heading along the eastern side of Upper Alkali Lake (dry in late summer and early autumn usually). I noted that this road was still called County Rd. 15, and as you travel farther north along it the AC hum fades away to nil. (S. McGreevy October 1993). Fandango Pass Road leads away from Modoc County Road 1/Surprise Valley Road about 20 miles north of Cedarville and into the Warner Mountains and the Modoc National Forest. This road is unpaved but fairly good quality gravel with some washboarding. Wonderful views of the Surprise Valley and Upper Alkali Lake below during the initial switch-back ascent westward. Once up to the summit, the road mostly levels out then begins a gradual descent down the other side of the mountains, becomes narrow and paved near the Buck Creek ranger Station, and descends into the scenic Goose Lake Valley and terminates on Highway 395. Clear Lake reservoir area: Westside Road - west side of Goose Lake: Westside Road is unpaved but good quality and begins at Davis Creek and Hwy. 395 where you turn westward onto it next to a small white church (paved for the first few miles) and then it crosses a causeway then enters Modoc Nat. Forest lands and follows the eastern shore of Goose Lake all the way into Oregon where you can take Westside Road back to Oregon Highway 140 and toward Lakeview and Highway 395 or elsewhere. Powerlines begin just south of the CA/OR state-line serving farms and homes west of Lakeview Oregon but south of that along Goose Lake there are none and the AC hum fades away to nil a couple of miles south of the state-line into California. 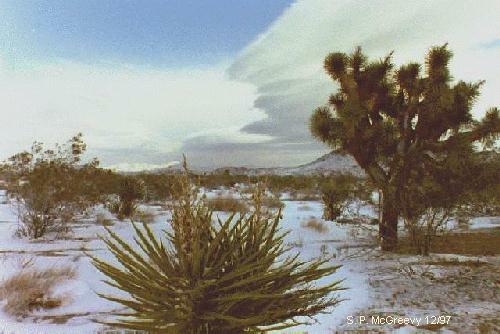 Joshua Tree National Park: [This is oneof the most gorgeous desert-scapes I've even set my eyes on. I believe Death Valley National Park and the area surrounding Lone Pine, California (except for the ravaged and littered Owens Valley floor) are also some of the other most gorgeous desert-scapes I've been (or live in).] Nearly the ENTIRE National Park except the Cottonwood campground lacks AC powerlines. The park replete with gorgeous mountains, the unique look of the Joshua Tree yucca, beautiful granite rock outcroppings, and so on! All campgrounds within the Park except for the Cottonwood campsite (due to having AC hookups and close proximity to Interstate-10) lack AC powerlines. I've stayed nearly a week at White Tank Campground (small - 15 sites) and the hum on the most sensitive WR-4B VLF antenna system is a very faint and barely audible. You can even get farther into the wilderness where there is NO AC hum audible whatsoever, and can drink in the incredably gorgaues desert scenery! Carrizo Plain/Elkhorn Plain:BLM Public Land along northern part of Soda Lake accessed from Calif. Highway 58 west of Buttonwillow and east of San Luis Obispo. Follow Elkhorn Road along the San Andreas Fault Rift Zone to a place southeast of Soda Lake between two large sets of powerlines. I discovered this site with Gail during a winter road trip to escape winter fogs and recorded some very nice whistlers and weak background chorus here. CD liner notes say: Bisecting California nearly in two, the San Andreas Fault scores a rugged line from the Salton Sea northward to Cape Mendocino, threatening residents with destruction and fury at any time, but also rewarding them with fascinating geological sights. One of the best spots to view the amazing work of this vast fault line is in central California's Carrizo Plain, where tree-barren, oat-grass covered hills reveal its slow, determined work in the form of offset streams and weird folds in the hills (clearly visible in satellite photos taken overhead). It is also a fairly nice place to travel to in the winter, shielded from cold, damp fogs shrouding the great central Valley as well as from coastal rain showers. Driving along a smooth dirt road alongside the fault-line hills this New Year's Day, we chose a spot to camp with wonderful views of the surrounding terrain and also as far as we could get from a couple sets of large power-line pylons marching away in the distance. A magnetic storm was in progress, though it was winding down from the day before...Camped next to electric lines, we were unable to listen the previous night and now welcomed the electrically quiet location we had found, as well as the amiable weather. At 5 a.m. the next morning, this recording segment was made. Weak chirping sounds of Dawn Chorus can be heard (had I been farther north in latitude, the Chorus would have been much louder) and also a good deal of pure whistlers are forthcoming. The weak hum sounds of high-voltage power lines about 4 miles distant can be heard. 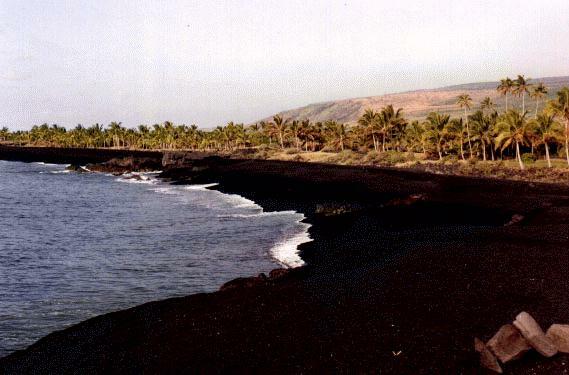 Note: Hawaii has for many years had excessive Omega reception from the Haiku "C" transmitter location near Kailua on the island of Oahu, but after 30 September 1997, Omega ceases transmissions and thus will no longer pose a great annoyance to VLF listeners in the Islands. Honokaa District - Hawaii Island - Kalopa State Park Forest Reserve: Gorgeous remnant windward rainforest remain to be explored and enjoyed along with associated bird life. 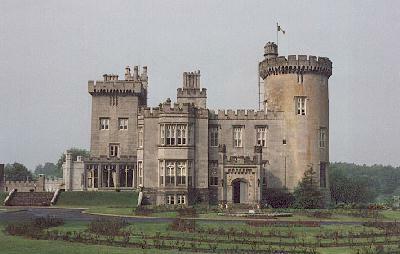 The Park is on the island's rainy north-east section. You can walk a road through the length of the Park to its northern boundary, and on a clear day see nice vistas of Mauna Kea. This area just outside the Park on its northern boundary is mostly cleared of trees and is grazing land - open country fine for e-field VLF receiver use and AC hum-free. The Park lies at about 2500 feet elevation making for a cooler climate than down along the immediate coast toward sea-level. Beware of wild boar within the Park. Four cabins (with AC power) can be rented for a night and up to 14 days and there is a main building with a kitchen and large meeting place, and also outside (sheltered) picnic tables. 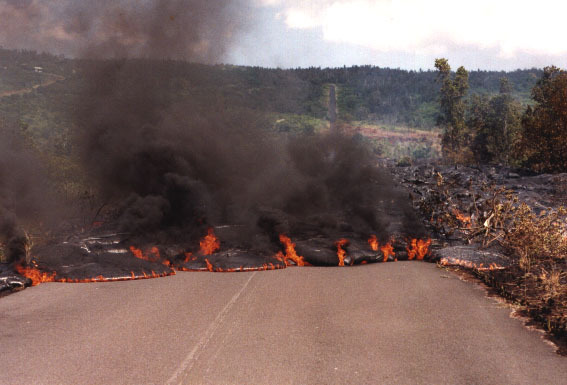 Contact the Hawaii Division of Parks office in Hilo for reservations. Another good MW BCB DX location for reception to the east and north, but not good for Pacific/Down Under reception due to substantial signal blockage from the mountains. (S. McGreevy, October 1991). Puna District area south of Hilo:There are many rural housing developments south of Hilo that are off-the-grid both electrically, and into the deeper parts, away from telephone lines which may couple some AC hum into areas otherwise away from AC power-lines. Hawaiian Acres sub-division south of Mountain View and Keaau is the largest rural area inhabited but devoid of AC lines. 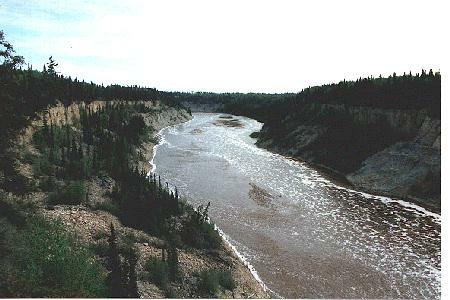 Grass River Provincial Park: Geographic coordinates: 54 degrees 40 minutes North latitude / 101 degrees 10 minutes West longitude, located 2 miles north of Simonhouse Lake and 1/3 mile south of Provincial Hwy. 39 (was 391), 5.5 miles (8.8 km) east of the junction of Highway 10 and 39. 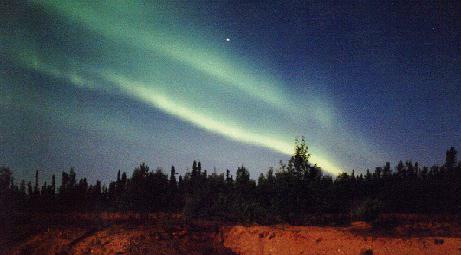 Geo-magnetic latitude: approximately 64 degrees north - a prime location for VLF chorus and aurora observation. Large roadwork's quarry and gravel pit about 0.25 mile deep and a couple hundred yards wide with large, long unused sections half-overgrown with new plant growth. This was the site that I "found" during a search for a powerline hum-free location in this region during my two-week long Solar-Minimum Natural VLF Radio Recording Expedition. I had noticed a lack of powerlines along Provincial Highway 39, and I pulled into this site to temporarily stay for one night after a quick check with my WR-3 revealed no hum. 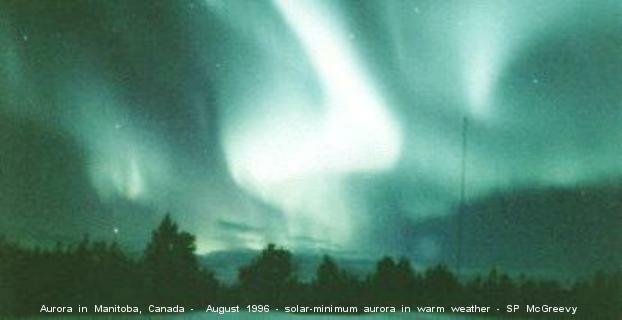 That night (22-23 August 1996), there was a beautiful aurora display that filled the sky several times during the night, with subsequent strong and gorgeous-sounding VLF radio chorus the following morning. As such, I relocated to a better spot 100 yards from the first stop and elected to settle in for at least a week. I stayed 14 days (22 August - 05 September). 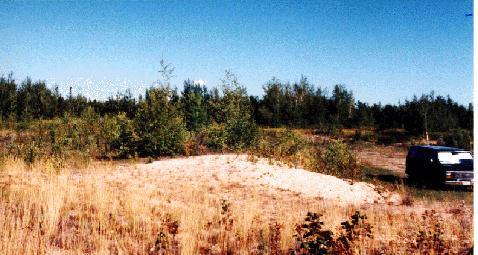 Northern Manitoba VLF recording site, 25 August 1996. WR-4b 3-meter tall vertical antenna mounted on van's rear door. View looking eastward. Boreal forest of Birch and Spruce trees. 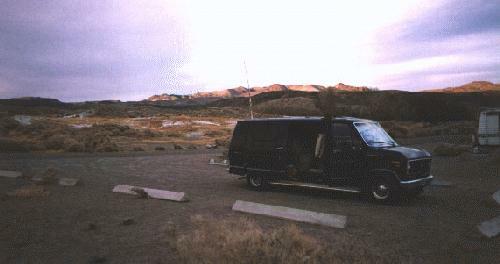 October 11, 1992 in the Black Rock Desert with part of King Lear Peak visible in the background. 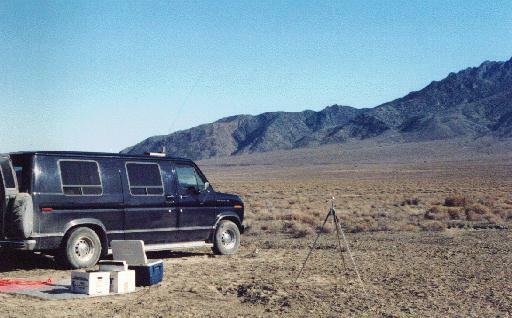 The north-eastern section of the Black Rock Desert--particularly alongside the western flank of the Jackson Rang--is VLF-quiet, and is within an approx. 25 X 30 mile region free from any power-lines.. Small (approx. 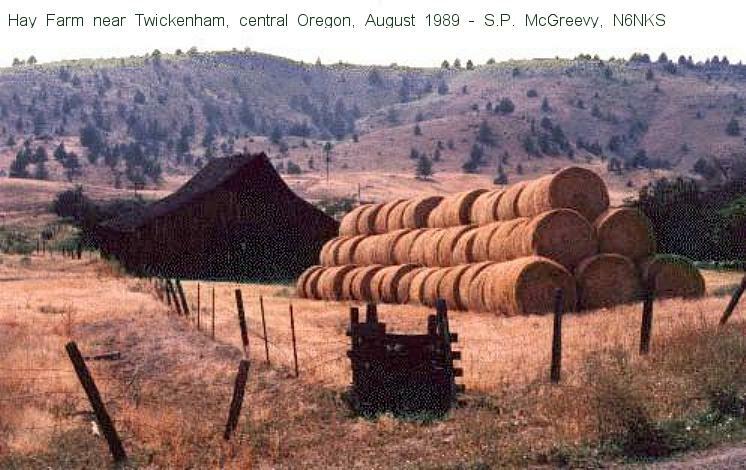 25 kV) Powerlines run along the (northern) dirt access road (called Leonard Creek Road) that begins at Highway 140 and which is paved for its first 5 miles, then turns to dirt, passing 3 ranches until the powerlines end at the final southern-most ranch (McGill Ranch). Passing this last ranch, the road continues southward along the western flank of the Jackson Range toward the old sulfur mining town of Sulfur. This area lies partially within a BLM Wilderness study area. My favorite listening and camping spots - also on BLM land - lie just 4 to 5 miles west and southwest of King Lear Peak (geographic coordinates: 118 deg. 38 min. west/41 deg. 11 min. north) and are about 12 to 14 miles from the nearest powerlines. Charles P. Shelton National Wildlife Refuge (Humboldt and Washoe County): Located in Nevada's far north-eastern corner, the refuge, administered by the U.S. Department of the Interior, is in the midst of the interesting plateau and tableland country of northwestern Nevada, and looks quite different in topography from most of the rest of the state. Flatter land and less basin and range topography is the rule here. Most of this Refuge lies within a huge power-line free zone (40 miles wide east-west by 60 miles long - the center of which is at geographic coordinates: 42 deg. 35 min. north/119 deg. 30 min. west) that extends northward into Oregon's Hart Mountain Antelope Refuge and parts of the northern Warner Valley and Lakes area (see Oregon). Access to this area is best attained from numerous dirt/gravel roads via Highway 140 from Denio Junction, Nevada or from Lakeview, Oregon. Driving in from east (Denio Jct. ), small powerlines generally follow the road but eventually turn away southwestward from Highway 140, as they serve the Refuge sub-headquarters at Dufurrena near the Virgin Valley Campground and also serve the (full-hookup) Royal Peacock RV (Caravan) campground. Once you drive 5 miles west of Dufurrerna Grade and then the roadside rest stop at Big Spring Creek, you then enter the powerline free area which encompasses the entire western half of the Refuge. The many camping sites inside the Refuge are all fabulous VLF-quiet locations and are usually quiet, especially on weekdays. Notable places are Big Springs Reservoir (2 miles off of Hwy. 140 and 6 miles from Oregon/Nevada state line); Catnip Reservoir approx. 20 miles west of Highway 140 on the unpaved but well-maintained NV Highway 34A (Catnip Reservoir is the location where I heard my first "Nevada whistlers" in June 1989). Fortynine Summit/Vya, Nevada (Washoe County) and Long Valley areas: California Highway 299 becomes Nevada Highway 8A upon crossing the state-line into Nevada. Soon thereafter, the road begins the climb up to Fortynine summit and then eventually descends into the Long Valley and Vya, Nevada - a "town" really consisting of only a NVDOT highway maintenance station. This area (roughly centered on coordinates 41 deg. 60 min. north/120 deg. 00 min. west) is powerline free, except for the large Bonneville Power Administration pulsed-DC line running along the eastern side of the Long Valley about 5 miles to the east of Vya, NV. Locations near this area such as the New Year Lake, Carter Reservoir, and the adjacent Modoc Co., California lands along the eastern side of Upper Alkali Lake to the north-east of Lake City, CA. Another VLF-quiet area can be found near Massacre Lake (41 deg. 40 min. north/119 deg. 35 min. west) on the eastern edge of the Long Valley and also further eastward toward Table Butte. NV Highway 8A also heads north-east in the area toward the Sheldon P. National Antelope Refuge. Hot Springs/Nightengale exit off of I-80: Located 45 air miles to the north-east of Reno, 20 road miles north-east of Fernley, and just 4 miles from the I-80, I have found this site to be extremely convenient to access, a quiet place to lay-over for a few days before heading elsewhere, and easily accessed from the freeway except in wet, muddy road conditions as the road is essentially level and flat from the freeway exit. 2 moderately large Sierra Pacific powerlines run alongside the I-80 corridor and 2 more very large sets run nearly parallel the I-80 freeway but 9 miles distant to the north-west, this site lies between these sets of powerlines and is about 4.5 miles from each at the farthest distance. Weak background hum is present at times, but is faint enough on e-field vertical antennas not to aesthetically degrade VLF recordings much. Much of the time, background hissband and other natural radio sounds entirely cover the weak PLHR hum anyway. Sage Valley: (GGC: 40 deg. 25 min. north/118 deg. 45 min. west) A beautiful and remote valley along the southern and eastern flanks of the Seven Troughs Range and bordered on the east/south-east by the Trinity Range. About as deep into power-line free and VLF-quiet territory as is possible. Access to this valley can be easiest from Lovelock via NV Highway 399 "Seven Troughs Road," a paved mining road leading over Trinity Pass and to the Eagle Pitcher Mine. 1/2 mile northwest of Trinity Pass, the paved road turns westward toward the mine, and a well-maintained dirt/gravel road continues down the mountains into the Sage Valley and toward the Seven Troughs Range - all VLF-quiet country and just 30 road miles from I-80. . (S. P. McGreevy, 4/96) (refer to NV DOT Nevada Map Atlas Quadrangle 4-10). Indian Creek (Humboldt NFS) Campsite/Paradise Valley: (GGC: 41 deg. 36 min. north/117 deg. 32 min. west) This is the first Nevada location where I first heard spectacular dawn chorus and a rare whistler storm on August 21, 1990. Drive north of Winnemucca and Interstate 80 via U.S. Highway 95 for 22 miles, then turn right (eastward) onto NV highway 290. 18 miles northward, you enter the near-ghost town of Paradise Valley and then head north toward the Santa Rosa Range which is also to your left (west). About 5 miles north of the hamlet of Paradise Valley, the road turns into a well-maintained (at least in the summer) road and begins to slowly begin to gain elevation, crossing Solid Silver Creek and Coleman Creek. Then just before you reach the bottom of the steeper grade, you reach Indian Creek and the two primitive campsites with one pit toilet. The nearest powerlines are approx. 3 miles to the east (serving the Martin Creek Ranger Station and a radio repeater site at Hinkey Summit - elev. 7867 ft.) and as such, a tiny bit of Powerline "hum" is audible, but it hardly is a detriment to nice recordings and even nicer scenery. A great deal of obsidian and quartz rocks abound in the hillsides near Indian Creek. Gorgeous views of the surrounding Santa Rosa Range and majestic Santa Rosa Peak (elev. 9701 ft./2957 metres). This is a no-fee camping site. (S. P. McGreevy, 8/90) (refer to NV DOT Nevada Map Atlas Quadrangle 1-8). Angel Creek (Humboldt NFS) Campsite 7 miles south-west of Wells: (GGC: 41 deg. 01 min. north/115 deg. 05 min. west) This place is a gem! I first stayed overnight here in May 1984 on one of my first high desert tours with Sheldon Remington. It was not until June 1996, on my way northward toward Alberta and NWT Canada. It is where I also met Judy Langley, that summer's Camp Host and a person I enjoyed many late night talks about the natural world. I would return several times during the course of the summer and stay a total of two weeks there. Incredible views of Hole-in-the Mountain Peak and Castle Peak. and the rest of the Humboldt Mountains. Several of the 17 campsites are open and away from the thick Aspen groves - ideal for maximum sensitivity on e-field whip antennae. Nearest (small) power-lines are about 3 miles to the east and are weakly audible under quiet/low-static natural radio conditions. The campsites can fill up on weekends in July and August. Take Wells West 1-80 exit and turn to the south for 1 block then turn (right) westward on very good paved road, driving upward in elevation. After about 9 miles, you will see a left-turn toward Angel Creek C.G - another well-paved road. Also there is another campground - Angel Lake - 4 miles straight up the main road past the Angel Creek turn-off. Angel Creek is 6800 ft./2073 metres in elevation and Angel Lake is 8400 feet/2560 metres elevation. 7.00 dollars per night - max. 4 people per vehicle and 2 vehicles per camp. This campsite is run by Humboldt Outfitters on contract from the USFS. Reservations recommended but not required (I never did reserve any campsite, but I stayed mostly during the week-days only, preferring more remote places over the week-ends). A nice layover spot. Campsite 1 is the Host campsites and 2, 3 and 4 are my favorites due to nice Aspen trees nearby and proximity to the Camp Host. (S. P. McGreevy, 5/84, summer 1996) (refer to NV DOT Nevada Map Atlas Quadrangle 2-3). Goshute Valley/Shafter (25 miles north-west of Wendover, NV/UT): (GGC: 40 deg. 47 min. north/114 deg. 23 min. west) Gail West and I stayed 10 hours here to catch some sleep on 17 September 1993 on our way to Manitoba, Canada. We took the Shafter exit off of I-80 and headed south-west along the Nevada Northern Railway tracks on a wide, well-maintained dirt/gravel road. A small set of powerlines also follows the tracks and this unpaved road. About 8 miles later, we came to a junction and turned left toward the south-east on another unpaved road - this time without powerlines alongside it. The farther we headed down this road, the more the powerline hum became weaker. About 5 miles from the road and tracks, the power-line hum was not audible any longer, so we stayed to tape marvelous whistlers. A quiet place to spend a few days in solitude. Here's what I wrote for the CD: While on our September 1993 "Big Trip" in my van and eventually to tour the Canadian provinces of Manitoba westward to British Columbia, Gail and I stopped in the eastern Nevada desert about 20 miles west of Wendover, Utah to catch several hours of sleep. Gail and I had driven most of the night across the Silver State after a brief stop the evening before at another favourite natural radio listening spot an hour's drive east of Reno, where we had heard and taped a marvelous variety whistlers, some very strong like the ones recorded by the INSPIRE listening groups in March 1992. Very sleepy and exhausted after 250 miles east-bound on Interstate 80, we took a remote exit off the freeway and headed south down a wide, unpaved road running alongside some railroad tracks. In the dark, we noticed there were powerlines running along the train tracks, but determined to stop in a spot where we could get some sleep and record whistlers (which I was sure must still be roaring), we kept on going until we saw another smooth dirt road branching away at right angles away from the tracks and pesky wires. Making occasional checks for powerline hum with my WR-3, we drove far enough from the wires--at least 5 miles-to where I couldn't hear any hum with my WR-3 whatsoever. By this time, we was just too tired (and now cold) to even set up the better WR-4B whistler receiver's antenna. I just had enough energy to get in the back of the van and tuck myself under the covers, falling quickly asleep. Awaking a few hours later, I noticed it was somewhat light with a slate-gray sky. Time to set up the WR-4's 10-foot copper-pipe antenna and check out the whistler band. As predicted, there were wonderfully loud "growler" type whistlers roaring out of fairly light background sferic static. I hopped back into bed and switched on my cassette recorder, capturing these great whistlers onto a 90 minute tape. (S. P. McGreevy, 9/93) (refer to NV DOT Nevada Map Atlas Quadrangle 3-1). Great Basin National Park/Wheeler Peak/Baker region: (GGC: 39 deg. 00 min. north/114 deg. 15 min. west) The crowning glory of this area is 13,063 ft./ 3,981 metre Wheeler Peak, a peak I have affectionately and reverently named "Mother Wheeler." This incredibly beautiful mountain in the Snake Range is home to the Great Basin's only alpine glacier. Quite near this glacier is a small stand of very old Bristle Cone Pines, and a couple of these very old gnarled trees are over 4,000 years old. Three campsites (drive-in and fee) lie within the park's boundary. Lower Lehman, Upper Lehman, and Wheeler Peak, the latter being over 9,900 ft./3,017 metres in elevation. Lower Lehman campsite, at 7,200 feet elev. has the fewest trees but lies closest to a cluster of powerlines leading to the Visitor Center and a residential area to the east of the Visitor Center starting just outside the Park's eastern boundary and down to the town of Baker. Upper Lehman campsite is higher up in the canyon formed by Lehman Creek and has denser tree cover. I used a 200 ft. long wire strung up 6 to 10 feet off of the ground and leading behind campsite #16 in mid-September 1996, and heard weak powerline hum in the back ground. The same situation for Wheeler Peak campground at site #25 using a longer (500 ft.) wire in mid-September 1994. Using a sensitive portable receiver such as the WR-3 or WR-3E and its whip antenna, no power-line hum was audible due to immunity of short e-field vertical/whip antennae to power-line hum induced into the ground. All three drive-in campsites within the Great Basin National Park have extensive areas in which to hike within and these are also low-nil hum area using a WR-3E-type portable receiver. If you feel up to it, hike the 10 mile round trip to the summit of Wheeler Peak (elevation 13,060 ft./3980 metres) starting from Wheeler Peak campground, and check out how well a WR-3, WR-3E or similar whip antenna receiver performs - full sensitivity with hardly any antenna! Absolutely no power-line "hum" whatsoever, too. Southern sections of the Park, such as roads leading up the Baker Creek and Snake Creek canyons, and also and several more to the south (accessible westward from Nevada Highway 487) are totally powerline-free and have incredible scenery. Gorgeous autumn colors abound at the higher elevations starting in mid-September. (S. P. McGreevy, 9/88, 9/94, 9/96) (refer to NV DOT Nevada Map Atlas Quadrangle 6-1 and 7-1). Elkhorn Summit/Toiyabe National Forest (Lander County): (GGC: 39 deg. 15 min. north/117 deg. 25 min. west) This excellent and scenic spot is located approximately 25 miles southwest of Austin Nevada, off of NV Highway 722. A scenic drive from either direction, Highway 722, the old U.S. Route 50, winds its eastward way through the gorgeous Desatoya Mountains replete with beautiful rock outcroppings, and eventually descends into the Smith Creek Valley (see below), where it runs along the northern edge of dry Smith Creek Flats then on over Railroad Pass back to U.S. Highway 50 near Austin. Elkhorn Road is a good, well-maintained dirt/gravel road linking the Reese River Valley to Highway 722, and it passes through the Shoshone Range reaching Elkhorn Pass at elevation 6870 ft./2094 meters. Small powerlines run along the Reese River (4 miles to the east of Elkhorn Summit), however, the PLHR hum from them diminishes rapidly as you head westward into the Shoshone Mountains. At the summit, a fairly primitive and rutted track (National Forest Road 299) heads south-westward for a mile or so, getting you away from the main Elkhorn Road, which sees about 5-20 vehicles per day pass over Elkhorn Summit. This is an area replete with Pinyon Pine and Juniper (the "Pygmy Forest"), offering shade from the hot sun and plenty of wood for a fire (check with Humboldt N.F. authorities for current information regarding open campfire regulations). (S. P. McGreevy, 9/88, 6/93, 7/93, 9/94) (refer to NV DOT Nevada Map Atlas Quadrangle 6-7). Smith Creek Valley and Desatoya Mountains: Adjacent to the Elkhorn Summit area to the west, highway 722 takes you into the gorgeous, pinnacled heart of the Desatoya Mountains then down into the Smith Creek Valley where you can take roads southward into the Ione Valley or continue on toward Elkhorn Road or Austin. All AC powerline-free with some fascinating places to explore on both sides of the valley in the foothills of the Shoshone and Desatoya Mountains. (S. P. McGreevy, 9/88, 6/93, 7/93, 9/94) (refer to NV DOT Nevada Map Atlas Quadrangle 6-8). Mackenzie Highway/NWT Highway 1 along Hay River: The power-line free zone north of Indian Cabins, AB north of High Level, AB continues northward into the NWT as far as Louise Falls Park where a new set of powerlines were being installed early June 1996 toward Enterprise, NWT along NWT Highway 1. However, it's quite possible these lines are being strung as far south as the 60th Parallel Visitor Centre at the NWT/AB border by now). John Day River Gorge If you haven't bothered to travel in the central-northern interior of Oregon, you're in for a surprise. One of the best surprises is the beautiful John Day River gorge running for 100miles from the Columbia River southward. Many areas along this river are power-line-free, especially the canyon between Dayville south to near Paulina. --Numerous roads lead off into the surrounding BLM and National Forest Lands. The Gorge itself is full of fascinating geological sights and Utah-like canyon terrain (though smaller in scale). Highway 106 to the north east of Prince Albert. What a cool Highway--it goes deep into the Boreal Forest. In late-June 2001, I embarked upon another trip into the sub-auroral zone of Canada, desiring to be in drier weather than experienced in Alberta in the summertime and early autumn. Looking at a map, I saw a highway (106) leading northward from the town of Smeaton, which is a good place to stock-up on groceries, though for the first 100 kM/60 miles of this highway northward and northeastward, there are powerlines, finally TERMINATING at a microwave site. From then on, you're entering prime VLF-quiet country. I made it up nearly to the intersection of dirt highway 165 (past Big Sprice Lake), and recorded some nice natural radio, but it certainly was not quite as impressive of natural radio phenomena as in Alberta in August 2000. Quieter geo-magnetic conditions prevailed on that Far North trip. (It IS possible that the powerlines are being extended along the Highway 106 toward Flin Flon, Manitoba (like they were doing along the Hay River/MacKenzie Highway in northern Alberta and southern NWT, Canada in June '96), so it would be best to take side roads away from 106 and be at least a few miles distant - many forest roads abound, and you could try highway 165 northwestward into the La Ronge area. Canyonlands National Park: Breathtaking scenery, and away from the Visitor Center the rest of the Park is ENTIRELY FREE of AC powerlines and there is virtually no AC hum at any of the drive-in (except for possible RV generators nearby) campgrounds and certainly no hum in the hike-in campsites. Be aware that the worse lightning months are July, August and September - usually in the afternoon, so static may be fierce. Mornings usually are low-static times even in lightning season. Interstate 70 Corridor: There are several long stretches of I-70 lacking any close-by AC power-lines. The eastern most 50 miles of I-70 in Utah between the Coloradio state-line to 1 mile east of the Highway 191 exit to Moab don't have any powerlines near the freeway and a quick check with my WR-3E reveled no audible AC hum. Within or near this stretch of freeway lie the Sego canyon Petroglyphs and the hamlet of Thompson. Perry Crabill, W3HQX, from Winchester, Virginia, has had good luck listening for whistlers and other natural radio phenomena along Skyline Drive, the scenic highway that traverses Shenandoah National Park in Virginia, about 60 miles west of Washington, DC. His equipment is a WR-3 using the 33-inch telescoping whip antenna supplied with the receiver. He writes: The park is long and narrow, and straddles the Blue Ridge Mountains for nearly 75 miles. It varies in width from one to thirteen miles. Skyline Drive is 105 miles long, and runs more or less north and south. It is very close to the top of the mountain for much of its route, and has a number of roadside parking areas called overlooks for viewing the scenery. Depending on the particular section of the Drive, overlooks may be on the east side of the mountain, with a view of the Virginia Piedmont, or on the west side, looking out over the Shenandoah Valley. The Park and Drive are divided into three sections; the Northern Section begins just south of Front Royal, and is accessed from US Route 340. The Drive in this section extends south about 32 miles to its crossing by US Route 211, which connects Sperryville on the east to Luray on the west. The Drive's Central Section extends south about 34 miles from US Route 11 to US Route 33, which runs from Stanardsville on the east to Elkton on the west. The greatest elevation of the Drive is 3,680 feet at mile 41.7 in this section. The Southern Section begins goes just short of 40 miles from US Route 33 and goes south to I-64, which goes between Charlottesville on the east to Waynesboro on the west. The Drive connects to the Blue Ridge Parkway, a similar scenic highway, which continues into North Carolina and Tennessee. Not all of the overlooks are free from power hum pickup. Even those with some hum allow reception of tweeks and the stronger whistlers with the WR-3. Perry Crabill has checked the Northern and Central Sections, and has found one or two very low noise overlooks on the east side in the Central Section. However, information about specific locations will have to be made available in an update to these notes. Food and lodging are available at several places within the Park, either along the Drive or via an access road. 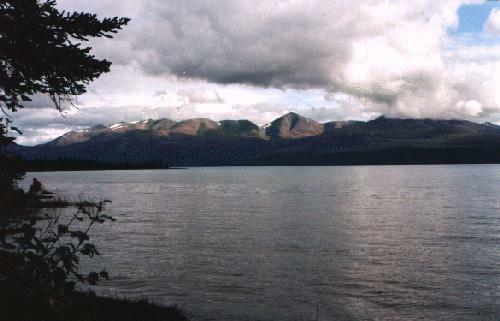 A limited number of campsites are provided in several areas. The Appalachian Trail passes through the Park, and many side trails exist throughout. Shenandoah National Park is an adjunct of the US National Park Service, and admission fees are charged. Several types of passes are available; the costs of most of these will be substantially upgraded after March 1, 1997. (Submitted by Perry Crabill, W3HQX, 30 January 1997). the parking lot to the lake. past the lot, and follows the Samammish slough. corridors, and I will report back with any good spots then. Shirly BasinAN alternate highway leads toward the north-west off of Wyoming 487, north of Medicine Bow. Farm and Forest roads lead off to the west. Leave gates as you find them: open if open, and closed if closed, unless you really are sure the gate was left in its current state accidentally or irresponsibly. A fair amount of BLM (Public) land is leased to ranches. Respect ranchers in the utmost, for they must make their living from the land and already suffer encroachment from careless urbanite/small-town recreationalists and excessive governmental regulations--they also are generally happy to meet visitors sincerely interested in their endeavors and can point out other places to visit in their area.. Treat their land and Public lands as though they belonged to your best friend. Despite what the totally unresponsible SUV and 4 X 4 Pickup-truck vehicle ads on television (which I hardly watch anymore with very few exceptions) or in magazine ads (including National Geographic!) *imply*, PLEASE DON'T "make your own road" in the wilderness and add yet another example of needless vehicular damage to the the landscape. Tread lightly and drive gently, and the mostly untrammeled natural beauty will remain for our children, and theirs hopefully. If the land can survive the current North American vehicular land-slaughter by 2025, we'll be most fortunate! National Parks at certain times of the year might be considerably more crowded but you can still walk or drive into the hinterlands to find plenty of quietude, and there won't be the ravages of off-road vehicle mayhem as is frequently found outside of the U.S. National Park boundaries, particularly in the California desert (BLM lands specifically). Finally, When lightning is within 10 miles of you, please don't listen to VLF and take appropriate lightning precautions!!! Most of the time you're going to hear the best whistlers from lightning FAR away - even 1000's of miles distant. And, the static is going to be excessively loud for any enjoyment of other VLF radio phenomena. Greater London - Chelsea/Wandsworth: Battersea Park. Surprisingly, during a stay in Chelsea, I discovered that Battersea Park had surprisingly low hum heard on my WR-3E and 85-cm/33-inch telescoping whip antenna. Walking around this beautiful park, I found the most hum free place was halfway between the Peace Pagoda (beautiful statue of Buddha) and the soccer playing fields to the south. The residential areas surrounding the park have below-ground AC power-lines aiding in the lack of AC hum e-field radiation. The park closes at dark but I caught many nice evening whistlers before it became fully dark. The weak background hum does vary in intensity somewhat due to the electric train tracks on the park's southern edge near the old Battersea Power Station serving Victoria Station. I would have never believed that one could enjoy VLF listening in the heart of a large city, but in London, it's quite possible! Other large Greater London parks probably are also good places to check out. (S. McGreevy, May 1996). County Donegal: Narin Strand to east of Portnoo/Narin. Walk up this pretty stretch of beach eastward and you'll get away from the small Ac mains powerlines in the hamlet. A golf course lies to the south of Narin strand borders the beach and sand dunes and has very little background AC hum. Nice views of Iniskeel (you can walk over a sand bar at low tide to this island with some 10th C. ruins).-McGreevy, May 4-6, 1996. (coastal) highway (E4) to northern Sweden. A dirt road passing by a training stadium for moose(elk?)shooting. conditions. There are several useful dirt tracks in this area. placed, connected to the power grid thus creating a local noise. sites are near the Baltic Sea, accessable via the main roads. Or boat. for a third person to join the VLF-IE listening party. Your reports of locations you've found are very welcome and desired for all VLF enthusiasts and ground-based researchers. Full credit will be given here. Please e-mail me at the electronic address below, or send your valued information via postal mail to the address above. There is nothing more important than getting out into the countryside or wilderness--and just take a long look at the beauty of Earth and the sky. Nature's beauty is a key to happiness waiting for us all, if we care.